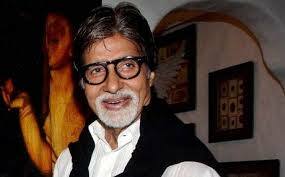 Mumbai, April 7 (IANS) Megastar Amitabh Bachchan says his work "dissects" him from the "daily and hourly burdens". The 70-year-old shared his thoughts through his post on his blog. He wrote: "The sun sets again and another day of turmoil comes to an end. The work is the place that I would like to be always. It is almost like a balm across an aching forehead - therapeutic." "Work dissects me from the daily and hourly burdens, that man carries, perhaps right to his grave," he added. He is currently busy shooting for Prakash Jha's political drama "Satyagraha", which also stars Kareena Kapoor, Ajay Devgn, Manoj Bajpayee, Amrita Rao and Arjun Rampal in the lead roles.